Anti-Semitic Muslim Women’s March Leader Arrested in NYC! 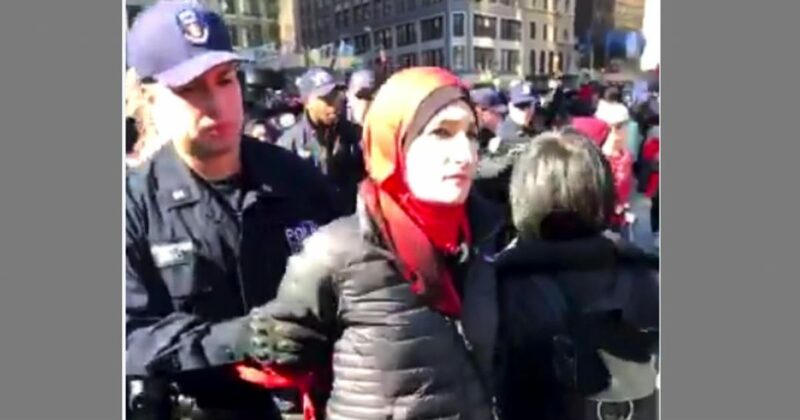 Muslim hatemonger Linda Sarsour was arrested during today’s #DayWithoutaWoman Women’s March in New York City. Sarsour is one of the leader’s of the “Women’s March” movement and has been unmasked as a belligerent anti-Semite and Muslim terrorist supporter.